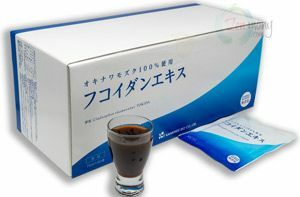 Fucoidan is an ingredient that is only found in brown seaweeds and algae, such as kombu, mekabu, and mozuku. Fucoidan, contained in the so–called "slime" part of the seaweed, was discovered by the Swedish scientist Dr. Kylin in 1913. It has still only been about 100 years since the discovery of fucoidan, so there is still much unclear about the relationship between its structure and activity. Components such as the dyes mixed with fucoidan have their own effects, while fucoidan may have its own effect at the same time. Substances similar to fucoidan have been found in animals such as the sea cucumber. 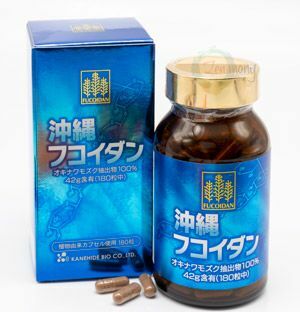 The main functions of fucoidan include anti-tumor, anti-coagulant, anti-inflammatory, and antiviral properties. In recent years, much attention has been paid to these properties, and they have been used to support health. In the medical field it has been studied as an alternative therapy for cancer. Fucoidan has not been generally authorized as a drug and is currently being marketed as a health food. Never the less some medical institutions in Japan offer cancer patients fucoidan as a secondary treatment course. As for types of fucoidan, there is U–fucoidan (containing glucuronic acid,) F–fucoidan (composed of sulfated fucose,) and G–fucoidan (containing galactose). There have been findings that suggest U–fucoidan has an effect on cancer. When U–fucoidan is combined with the receptors of cancer cells, a function occurs wherein the cancer cells destructs itself (apoptosis), and the cancer cells cannot survive. 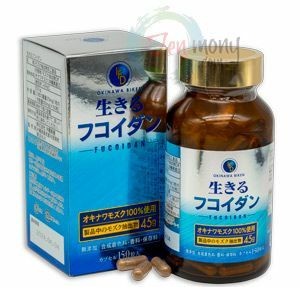 F–fucoidan helps the production of the HGF agent that grows liver cells, seeming to stimulate cell regeneration. The galactose contained in G–fucoidan is a component of lactose, which is a source of energy when converted to glucose in the liver. Galactose is abundantly found in breast milk, and is an important nutritional component. Please have a look at our fucoidan products.